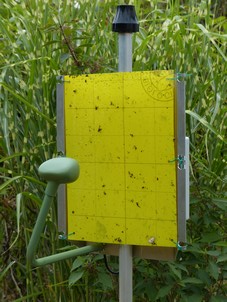 e-GLEEK is an automatic trapping system which is used to count insects automatically. It sends alerts when a large amount of flies is detected and threshold is crossed or when the glued sheet is over saturated. It sends alerts via SMS or email when an invasion is qualified. It has superior of 12months autonomy in regular operational mode. In case of a massive arrival of insects, the system triggs automatically an alertwhich is sent to the recorded user's telephone and/or mail address. The trap is universal and can be used to survey different cultures including orchards, vineyards, vegetable, but also greenhouses. the system which comes as an integrated metallic feature can be associated with accessories to orient the capture (horizontal, vertical). The battery provides in excess of 12 months autonomy in regular operational mode. The battery is Lead/gel and can be recharged within few hours. 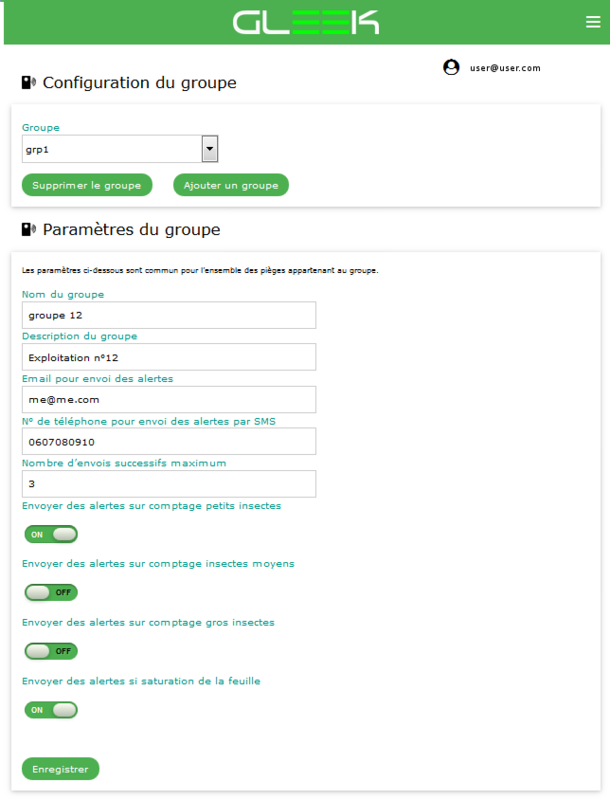 The transmission of the alert is made using the SIGFOX network (subscription is less than 20€ per year). As an option, the system can send the images together with the counters. The transmission is done using GSM with a SIM card. You can decide the number of counting a day (maximum 5) and forget it until it alerts You.